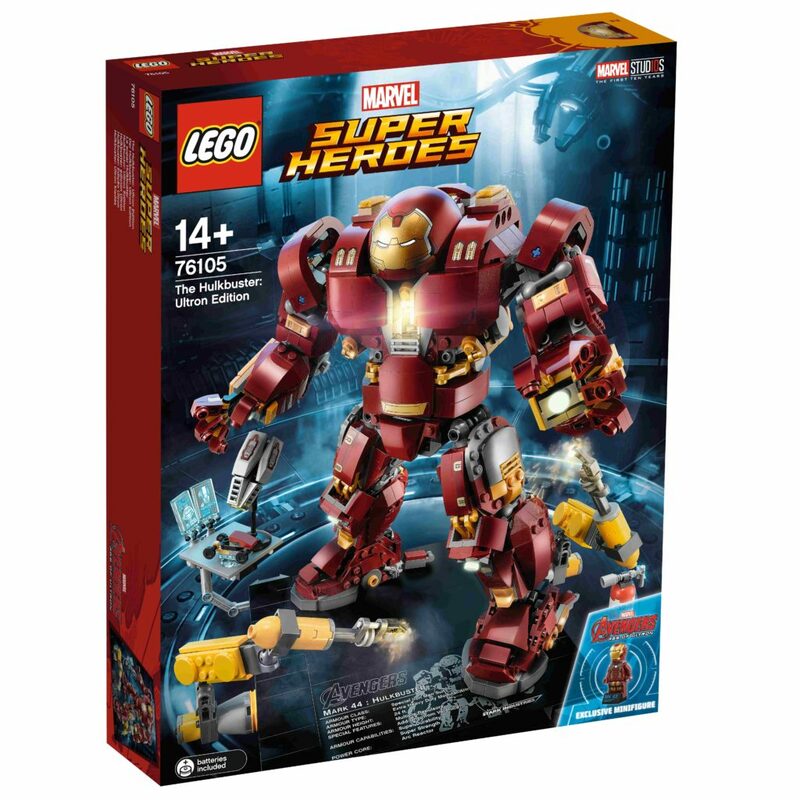 LEGO has officially announced the release of 76105 The Hulkbuster: Ultron Edition from the LEGO Marvel Super Heroes theme, and I am very excited! 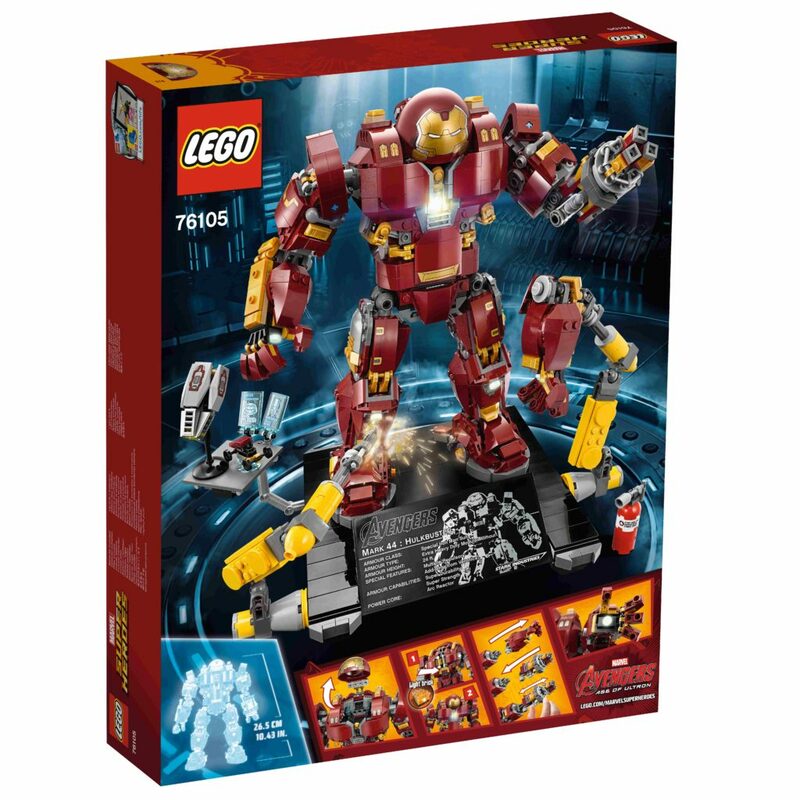 It’s available from March 3rd, weighing in at 1363 pieces and selling for US $119.99 / DE 129.99€ / UK £119.99. 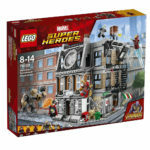 I estimate this set going for AU $169.99 for us. This will be confirmed when I know more. Make that AU $199.99! There’s no VIP early access for this, so get in quick! 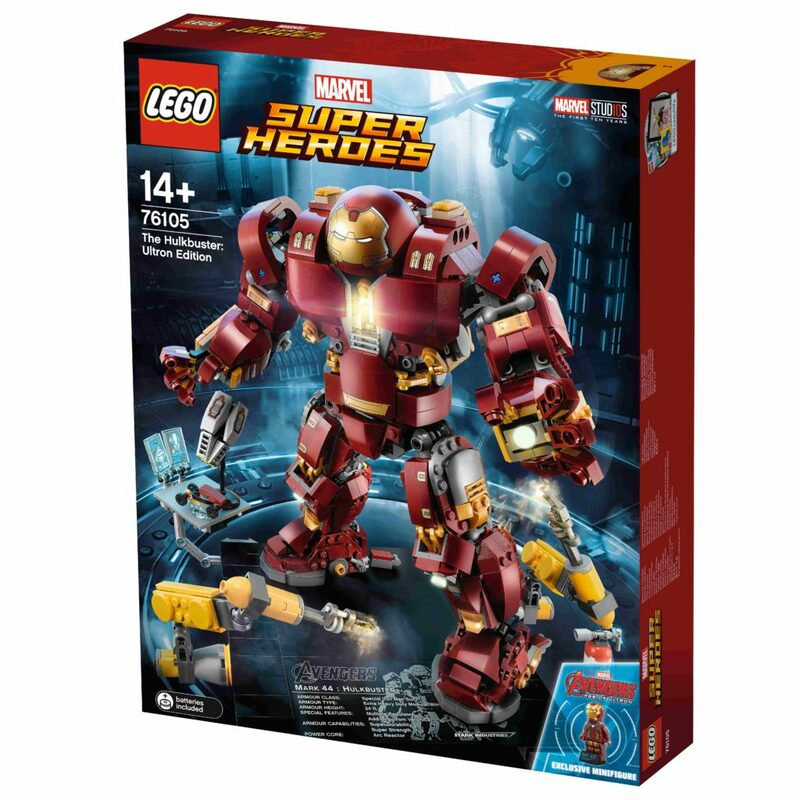 This model is very poseable, and comes with a light brick in the chest, as well as interchangeable left arms – it can either be a standard arm or a jackhammer arm with a punching function. Not only that, but it’s got a beautiful platform for display, that has it’s own display attachments and accessories as well. There’s a couple of robot arms, a table and screen with little hot rod, and a Veronica satellite. If you’ve forgotten, Veronica was the satellite that watched over Bruce Banner. If he got too stroppy, then Veronica would come and attempt to contain the situation. Why Veronica? Well Bruce was in love with Betty, and according to Joss Whedon, Veronica was the opposite (referencing Betty and Veronica comics). 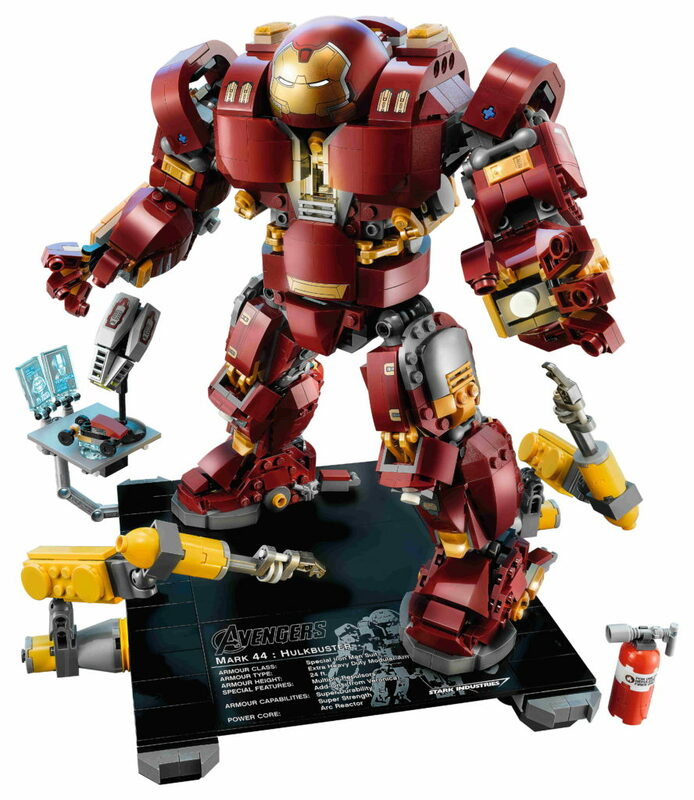 When standing, the model measures over 25 cm tall, so it’s a great size for display. 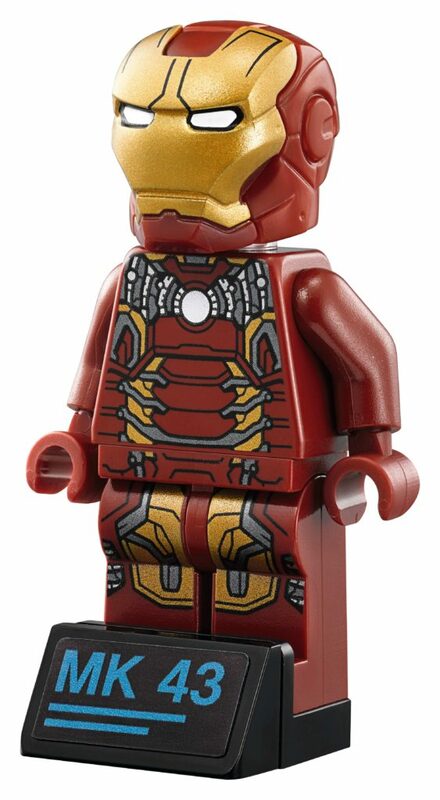 Also included in the set is an Iron Man Mark 43 exclusive minifigure. 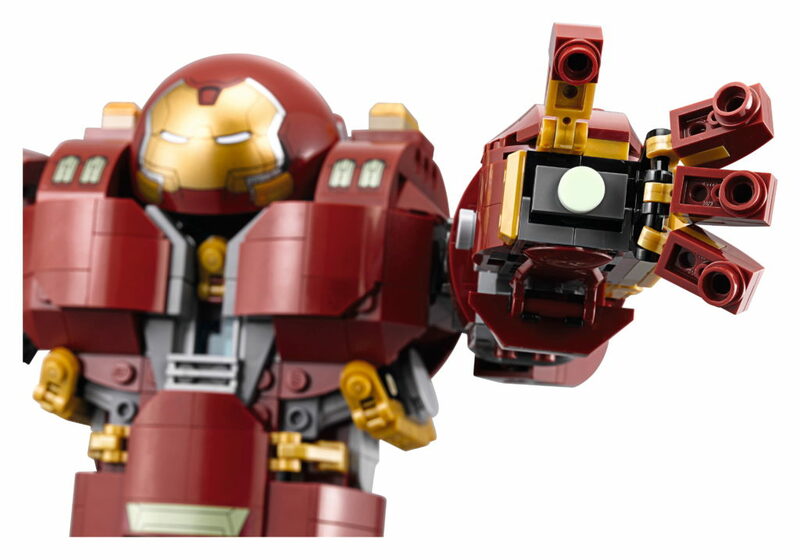 The back of the Hulkbuster looks brilliant. 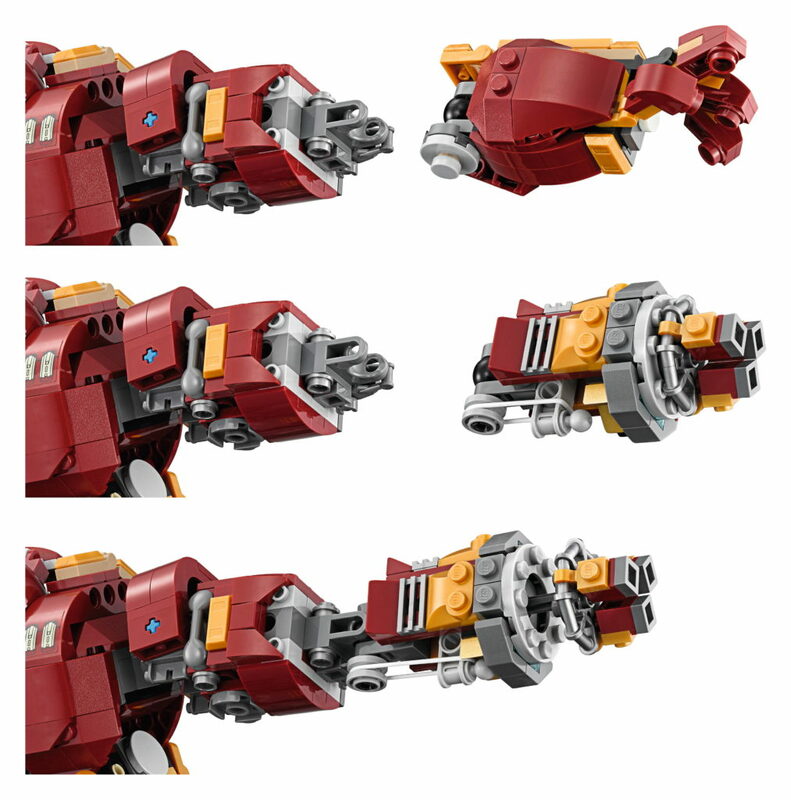 For smaller mech-like models, sometimes the back can look rather unfinished. This one looks great, with loads of details, including some glow in the dark tiles. 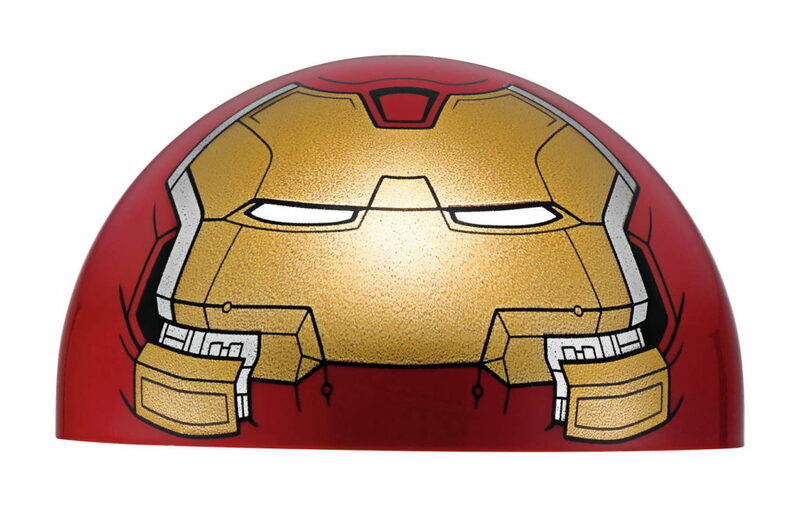 From any angle, I reckon this machine is going to look sweet. 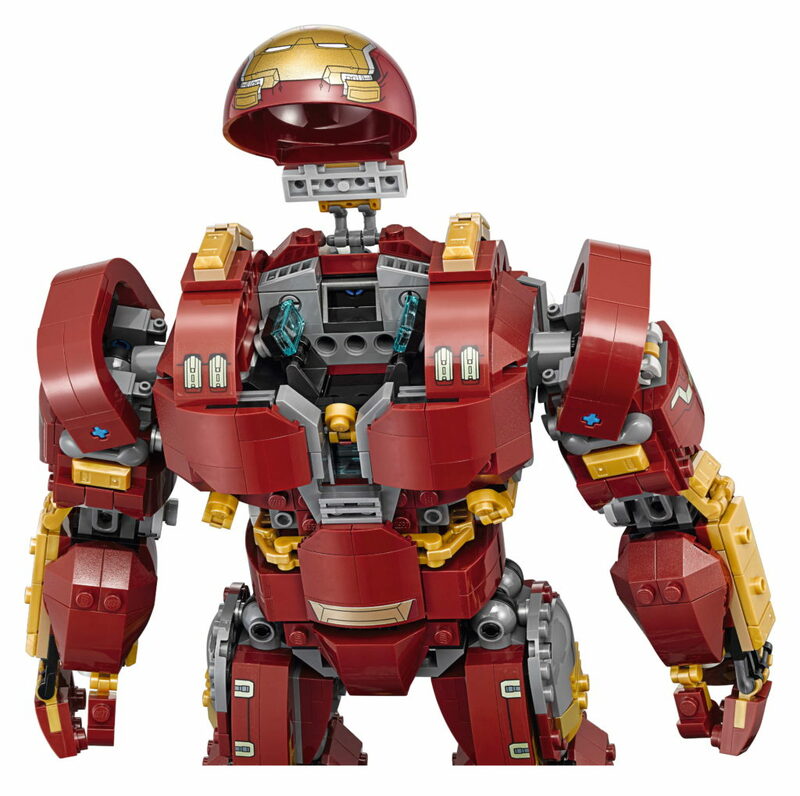 Some of you may remember about a year ago when a LEGO Ideas project, Hulkbuster UCS by Raymond Chow was knocked back for production. 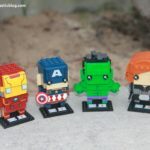 Now, it’s inevitable that people are going to say that LEGO has just stolen the idea from a fan and created their own version. Well, I think that’s ridiculous. There’s a few factors here. 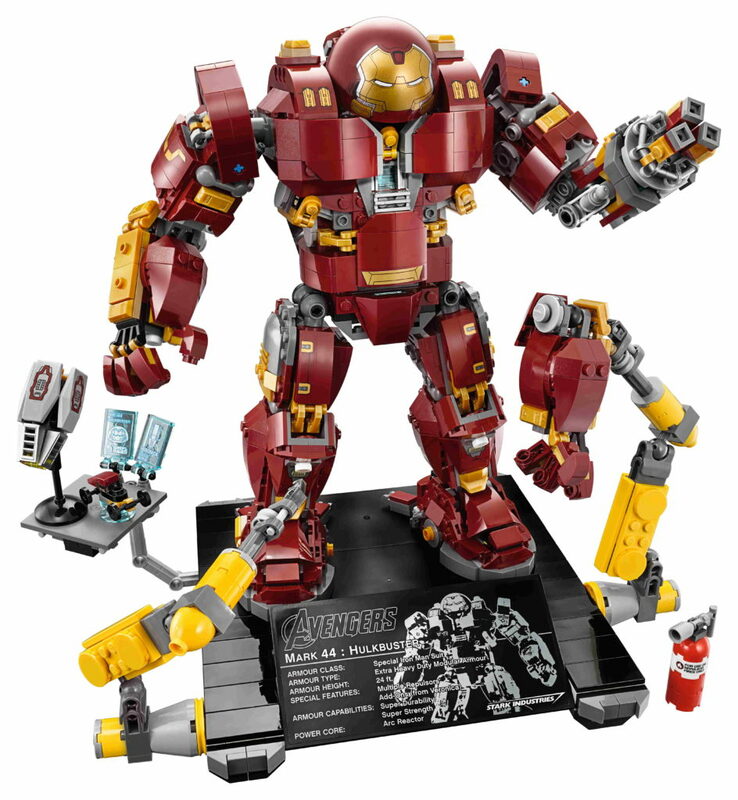 Firstly, and most importantly, the two sets look nothing alike. 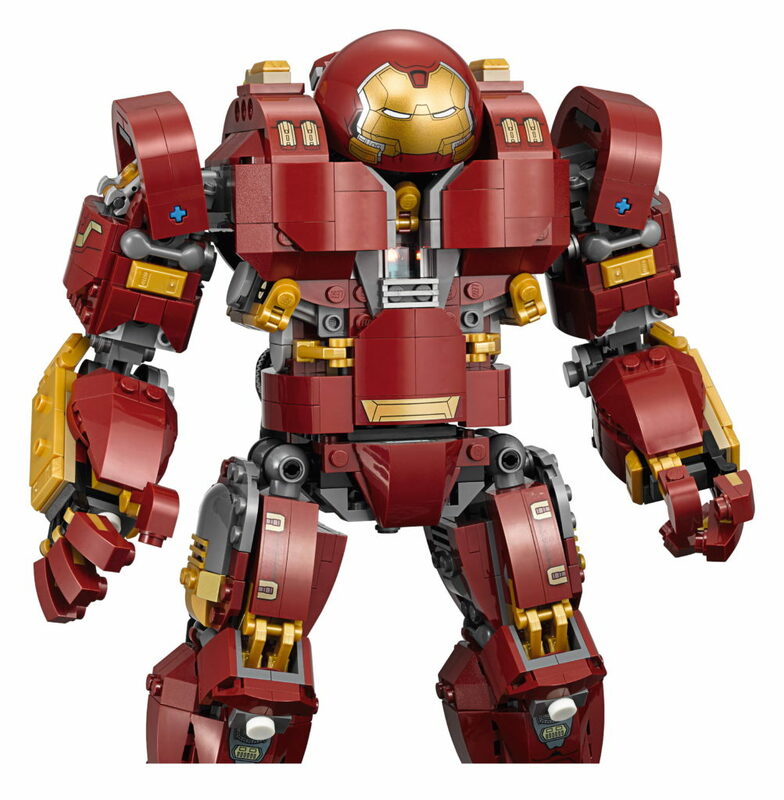 Yes, they’re both of the Hulkbuster, but that’s where the similarities end. To say that it’s copied is just nonsense. Secondly, products don’t happen overnight. They go through years and years of design, development, testing and more. This set has probably been around for at least a couple of years. Lastly (and I know these rules came in after the project was submitted), but for this project in particular, there was a smaller (I read this as miniscule to none) chance that it would get approved anyway, as any project that crosses into IP territory already engaged with TLG is now not allowed. I can’t wait until all of these projects are purged from the site. It’ll take a while, but at the moment, it’s flooded with conflicting IP based projects. This isn’t to take away from Raymond’s original submission – it looked brilliant, it just wasn’t meant to be. Anyway, rant over. 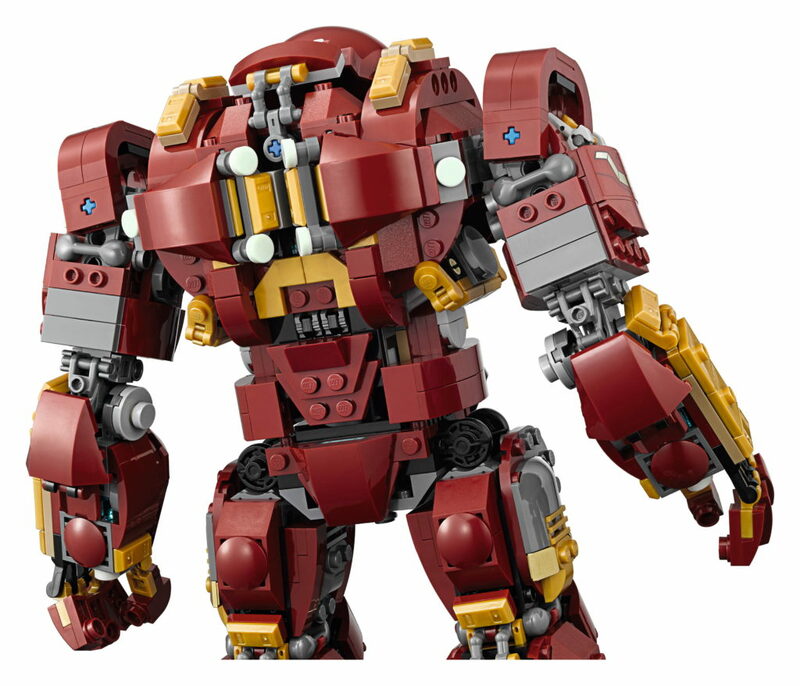 You can read the full press release of 76105 The Hulkbuster: Ultron Edition below, and check out some more photos!